Alianzia Real Sociedad, akacheza mechi tano za La Liga wingi ya kushoto kabla ya kuhamia Toledo ya Daraja la Pili. Akapoteza mechi 11 katika miezi sita. Akafukuzwa baada ya kufungwa 5-1 nyumbani na Dynamo Moscow. Arsenal are set to appoint Unai Emery as their new manager after thinking twice over giving Mikel Arteta the job. 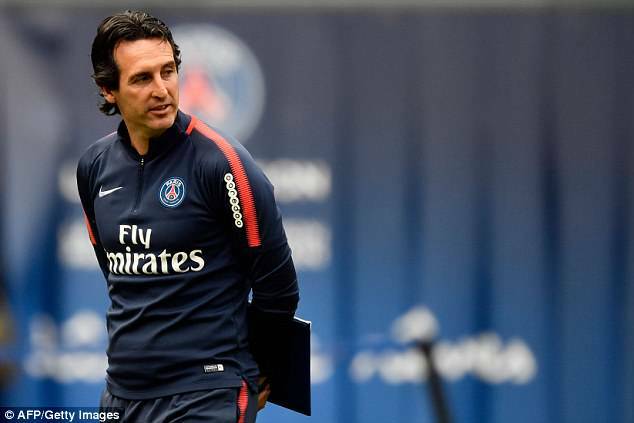 Sportsmail revealed that Emery, 46, was emerging as a late contender for the job - and he is set to be named Arsene Wenger's successor this week. Emery has held positive talks with the Arsenal hierarchy and overtaken Arteta in the race to land the job. Arteta met with Arsenal officials last week and those close to the Spaniard believed he was on the verge of getting the role. But the Gunners have since held discussions with Emery, who is expected to be presented as the club's next manager in the coming days. Arsenal chief executive Ivan Gazidis was last night thrashing out the finer details of the deal with Emery's representatives. Emery was axed from his role as Paris Saint Germain manager at the end of last season, Thomas Tuchel taking his position in the French capital. The news was met with shock from players on Monday night, who had fully expected Arteta to be in charge next season. But news started filter through among the playing staff from around 4pm of Emery's imminent appointment. Gazidis and director Josh Kroenke had been set on handing the job to a younger coach with fresh ideas. So the move for Emery comes as something of change of heart; the Spaniard coming with vast experience during his time with Sevilla and PSG. Arteta was set to sign a three-year deal worth £4million a year. Arteta would have accepted the job. Arsenal insisted on Monday night that they had not got cold feet over offering the job to Arteta, insisting they were fully committed to the process of identifying Wenger's replacement.